Most watermelon plants (with seedless watermelon being the exception) start quickly from seed and happily grow, twine and run amuck all over your watermelon patch. Unfortunately, when they start producing fruit, the joy of gardening can turn into a nightmare if they don’t get the proper care. Splash a little water on the leaves, and they may get an infection or become bug infested. Here’s are some important facts you need to know to protect your baby watermelons and produce a bumper crop of juicy, nutritious watermelon. 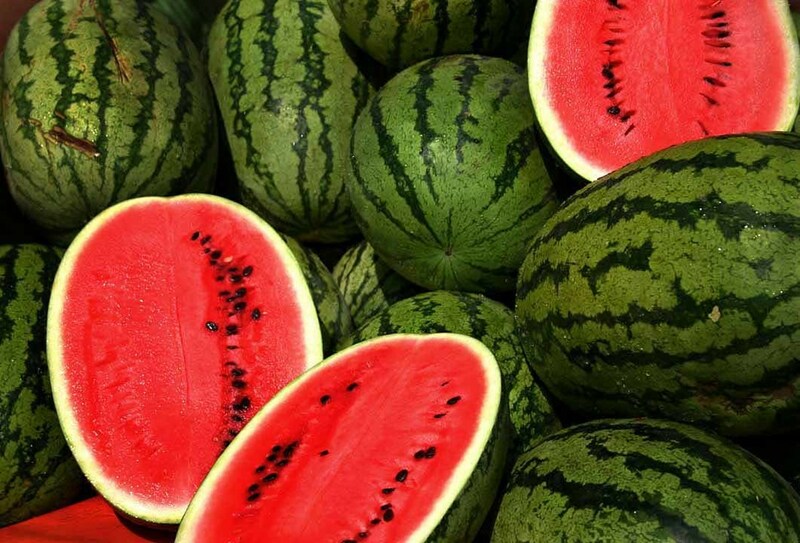 It’s easier to keep watermelons from getting sick than to cure them once disease or insect invasions strike. Watermelons are members of the cucurbit family (think pumpkins, winter and summer squash, and cucumber) and susceptible to the same pests and diseases. 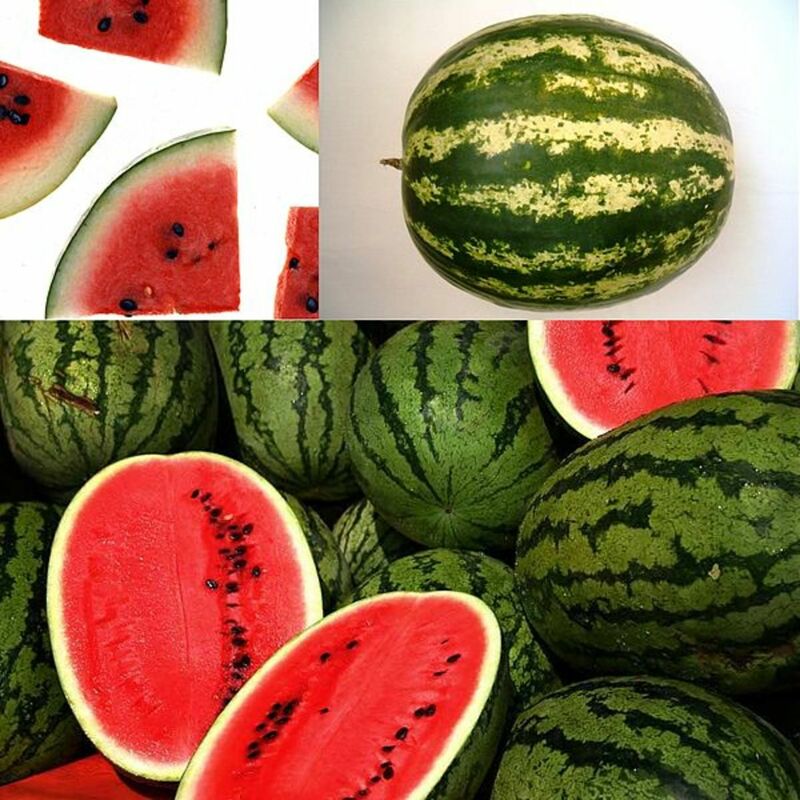 The three problem areas for watermelons are bacterial diseases, fungal infections, and predator pests. 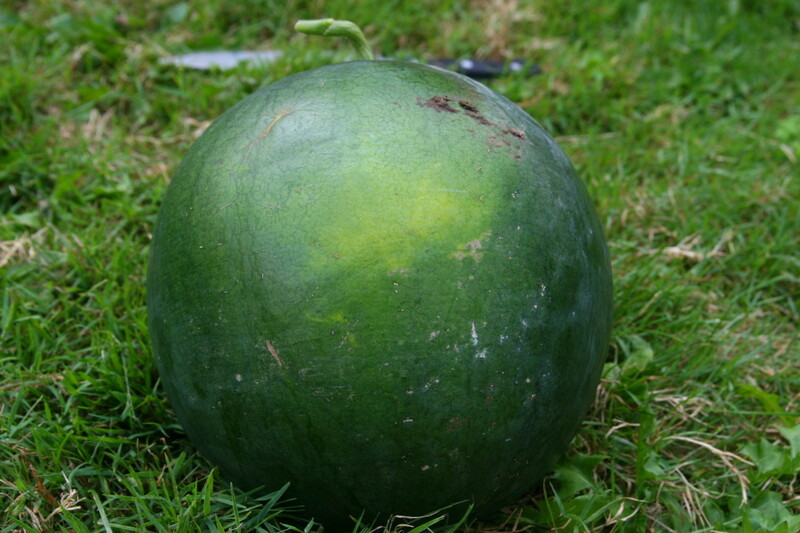 Which of these melon growing problems have you encountered? 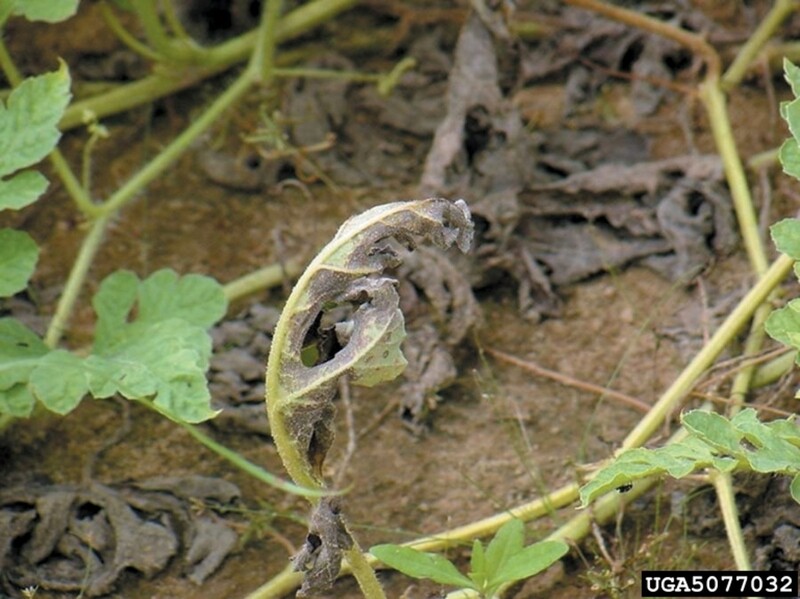 According to the North Carolina State Diseases Handbook1, three common watermelon growing issues are anthracnose, fusarium wilt, and gummy stem blight. Infected seeds transmit the fungus so purchasing seed from reliable vendors prevents the disease. Growing resistant varieties is also wise, and Crimson Sweet or Sweet Princess are good choices. 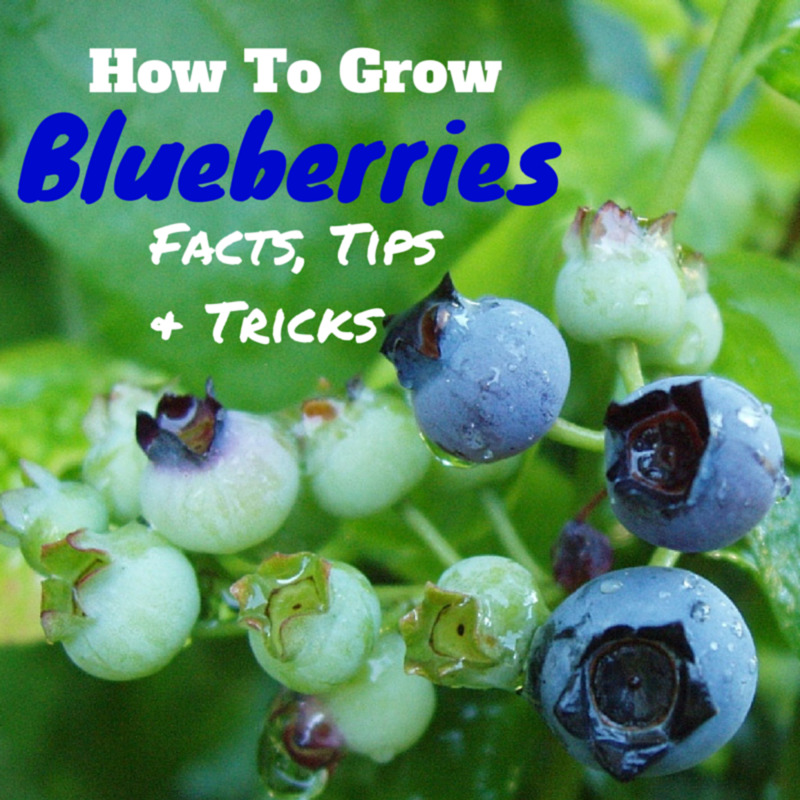 Look for brownish black spots on leaves or fruit, and treat with fungicides. Seeds or soils are vectors, and the disease typically appears in older plants. Yellow leaves and foliage discoloration are warning signs, and plants may collapse without warning. 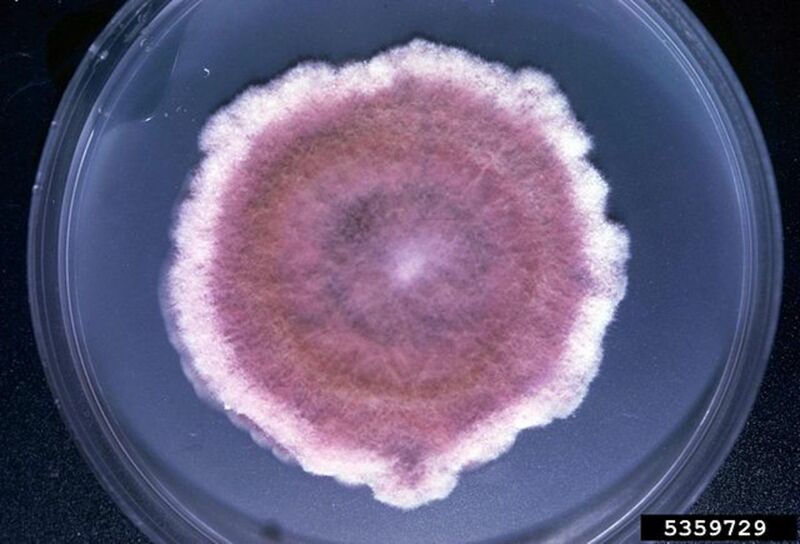 The fungus is long-lived so crop rotation will not eradicate it completely. The best preventive measure is crop rotation combined with planting a resistant variety like Athena. Infected seeds transmit the fungus, and the infection strikes the foliar system and vines. Symptoms are black, crinkled spots on leaves and vines, water-soaked tan lesions, gummy excretion, or sunken areas on stems. However, the signs of gummy stem blight can mimic fusarium wilt so diagnosis is problematic. Treat with fungicide spray. It requires less square footage for a garden, making growing watermelon in a small space a viable option. Plants are healthier because the air circulation is better, which inhibits disease. Plant leaves and vines stay drier—moisture dries faster—so the foliage is healthier and there is less disease or insect problems. Fruits mature faster because they get more sunlight. Harvest is convenient and easy. It controls the soil temperature; watermelons hate the cold and need the heat. Your melons won’t ripen if they get too cold. It inhibits weeds; weeds transmit diseases. In addition, all the nutrition goes to your watermelons, not the weeds, and watermelons are good, hungry eaters. It prevents moisture evaporation and retains the moisture in the soil. Watermelons need lots and lots of water to flower and set their fruit. Just like people, striped cucumber beetles and spotted cucumber beetles love their sweet, juicy watermelon. 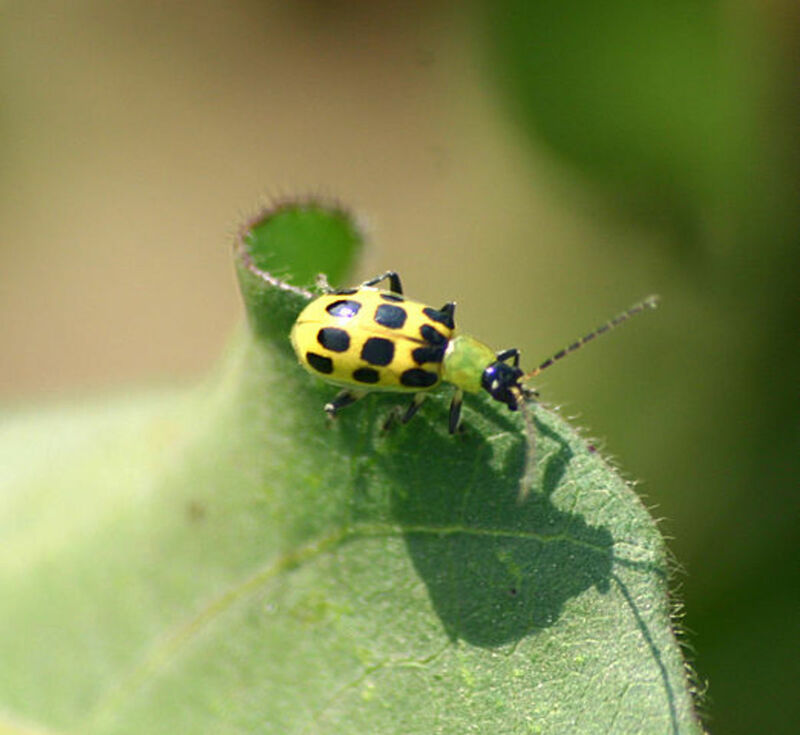 Striped cucumber beetles are devoted watermelon lovers, while spotted cucumber beetles happily munch and crunch on any member of the cucurbit family. However, neither bug is picky and will eat vines, leaves, flowers or fruit. 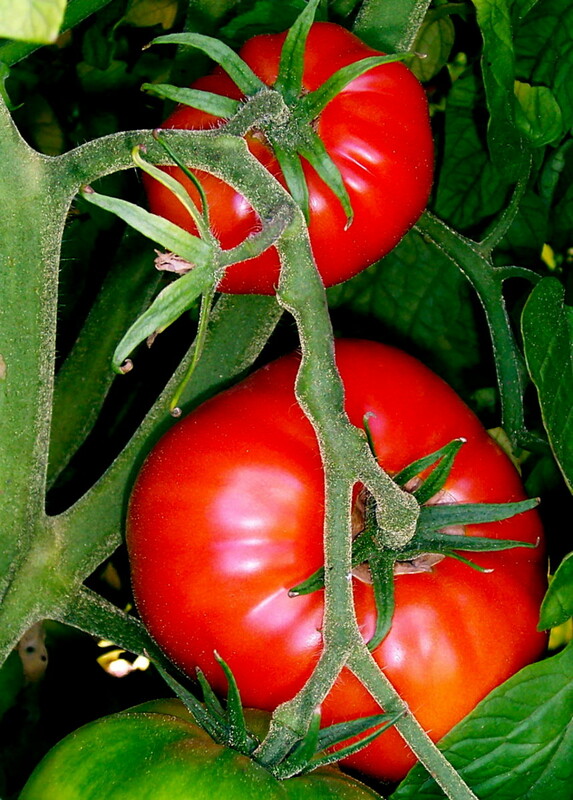 In addition to devouring your crops before you can, they carry diseases into the garden. 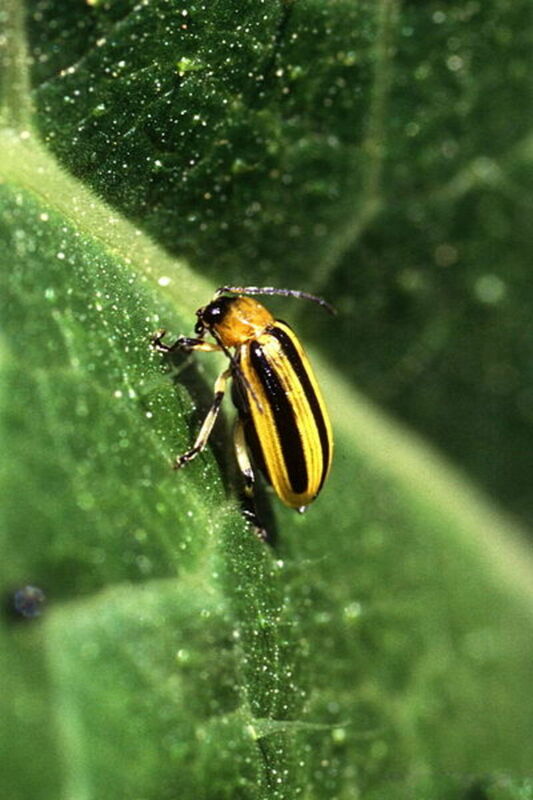 Striped cucumber beetles feed from dusk to dawn, so any handpicking or spraying attempts are most effective then. Insecticides and traps baited with cucurbitacins (attractants) are also effective. 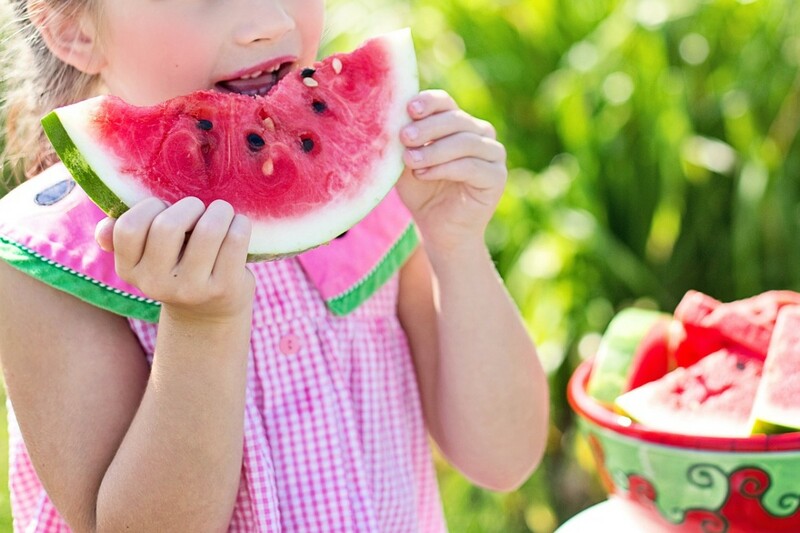 Watermelon growing problems like bugs and disease are easier to prevent than cure. Growing melon varieties that are resistant to anthracnose, fusarium wilt, and gummy stem blight eliminates the majority of issues. Mulching and planting vertically are environmentally friendly ways to reduce or prevent pests and plant infections. 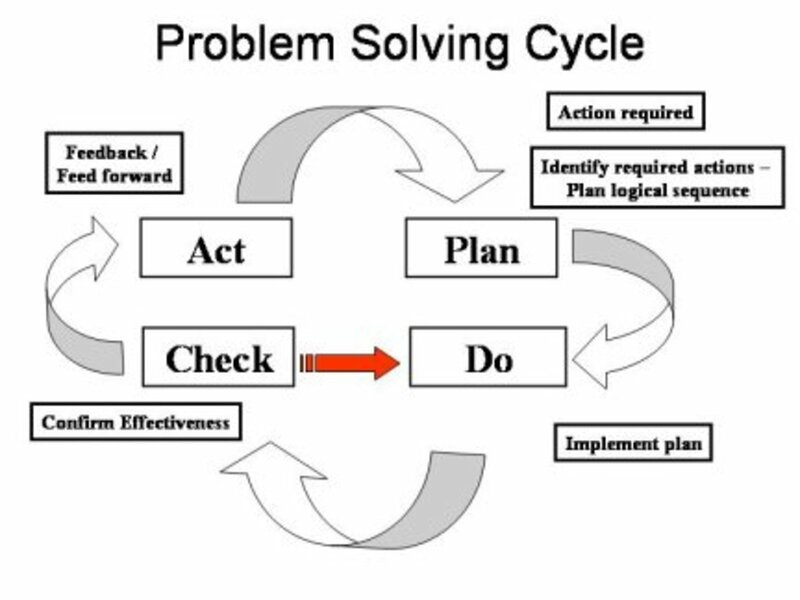 "Well Defined" Problem Solving Made Easy!